KEMP, Texas, Sept. 18, 2018 (GLOBE NEWSWIRE) -- Leader in industrial lighting, Larson Electronics LLC, released an energy efficient 3 phase pad mount dead front loop transformer that provides operators with a powerful, reliable and environmentally friendly. This 3-phase transformer features critical equipment failure protection and greatly lowers operating and ownership costs, as well as reduces heat emissions. 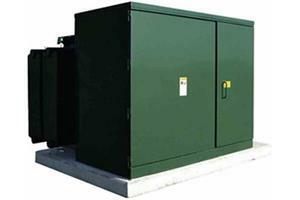 This oil-cooled transformer is ideal for both indoor and outdoor applications. The MT-PMO-3P-24940GRDY.14400-1500KVA-208Y.120-N3R 24940GRDY/14400 3 Phase Energy Efficient Pad Mount Dead Front Loop Feed Transformer from Larson Electronics is powerful, reliable and designed with the environment in mind. The MT-PMO-3P-24940GRDY.14400-1500KVA-208Y.120-N3R is a powerful and durable transformer with a 1500kVA rating. This 3-phase unit has primary 24940GRDY/14400 Grounded Wye voltage, and 208Y/120 Wye secondary voltage. This dead front loop transformer runs very efficiently, impacting the environment less than traditional units. The MT-PMO-3P-24940GRDY.14400-1500KVA-208Y.120-N3R is designed so that no excess oil heating occurs from unbalanced loads or phase loss on the primary side. The cores of the MT-PMO-3P-34500D-1000KVA-13800Y.7970-N3R 34500D are robustly constructed of non-aging, cold-rolled silicon steel laminations, made with state-of-the-art technology. Each core in this unit is coated to prevent buildup of moisture and are electrically balanced which minimizes axial forces during short circuit situations.